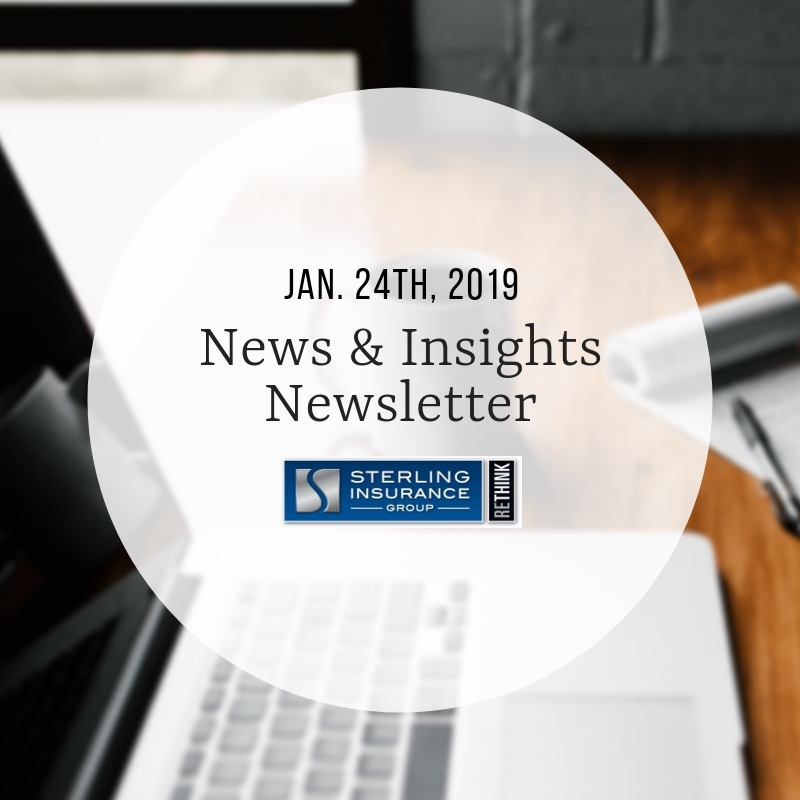 This newsletter was sent to Sterling Insurance Group clients and friends on Thursday, Jan. 24, 2018. Want to get this bi-weekly newsletter in your inbox? Email jgiffels@sterlingagency.com today to be added to our mail list. Lookout for the Sterling Insurance Group ad on a TV near you! Together with Auto-Owners Insurance, Sterling Insurance Group recently produced a 30-second commercial highlighting our unique, effective approach to risk management and business insurance. If you live in Southeast Michigan, you may just see the ad soon. View the full commercial on our site. Got an insurance question? Want to learn about our proprietary Risk Path Process? Contact us today! Calling all CEOs: Sterling Insurance Group is proud to partner with the Troy Chamber of Commerce in 2019 for its CEO Series. The first event in Jan. 25th, and will feature the CEO of Eastern Market. Sign up now! Did you miss Sterling’s latest event Don’t Get Left in the Smoke: Marijuana in the Michigan Workplace? Not to worry. View the entire presentation on Sterling’s site. The recent legalization of Marijuana in Michigan brings up many questions – let Sterling help dehaze this topic: reach out today. Now on the blog: Active Shooter in the Workplace. Does your team know what to do? Arm yourself with these tips now. In the Community: Sterling was proud to lead a discussion regarding Captive Insurance options at a recent Michigan CPA (MICPA) event in Warren, MI. View photos from the great event. Could a captive be the right fit your business insurance or employee benefits strategy? Find out: contact us. Don’t forget, Sterling Insurance Group recently opened doors in the Detroit Renaissance Center to better serve you. Work in Detroit? Stop by and see us! In the community: Sterling was proud to be featured in DBusiness Magazine recently. View our ad. Schools can be a second home for the families they serve. Protecting this community hub is crucial. Having the right insurance in place for a school’s unique needs can make all the difference when an incident occurs. Read more about the importance of School Insurance – which we proudly offer at Sterling Insurance Group.